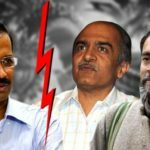 While media predicts doom and gloom with barely concealed “I told you so”s and Aam Aadmi Party volunteers wring their hands and wonder what fate lies in store for the party, I have seen the emergence of two letters between Manish Sisodia and Yogendra Yadav as an extremely positive sign about the party. The advent of digital communication may have added convenience, but a downside is that this is one era from which personal communications of leaders providing an insight into their vision are missing. Candid discussion and reflections on issues crucial to organizations and countries now happen out of sight. 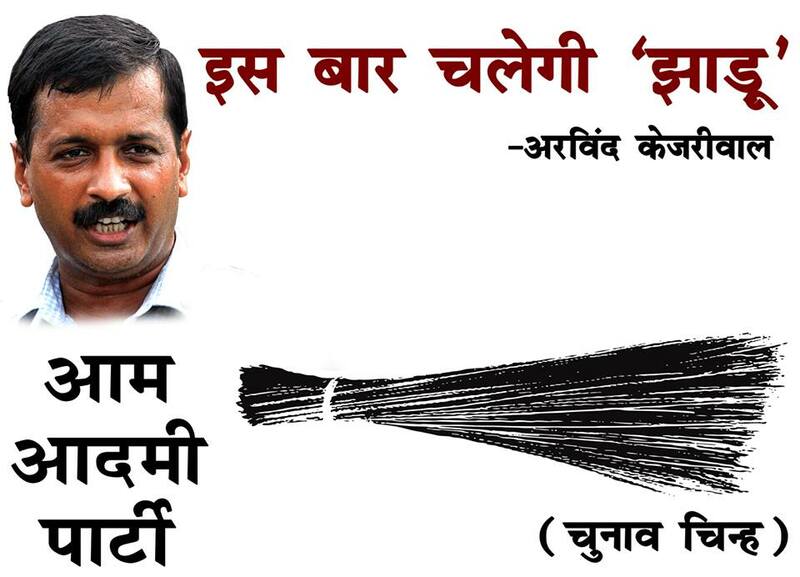 In my view, these two letters speak of the Aam Aadmi Party’s resilience and ability to return to its core values. In a time when lack of communication and invisibility of any leader other than Kejriwal speaking independently on issues of policy plague the Aam Aadmi Party, these letters come like a breath of fresh air. 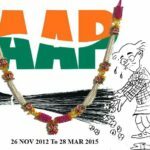 While transparent dialogue, warts and all between leaders may alarm those grown comfortably “unique” in the opaque mold of India’s cult like politics, these letters stand witness that there is more to AAP than Arvind Kejriwal alone and there is a diversity of leadership that does not fear to speak their highest truths in view of the Party’s interest. Letter by Manish Sisodia to Yogendra Yadav. This party grew out of an extraordinary coming together of volunteers from all over the country, most of whom had no previous experience of politics. Some of these volunteers like us came to be recognised as “leaders”. It was imperative that our party should have as little gap between the “leaders” and the “led”, that we evolve mechanisms for consulting our own volunteers and supporters in all the key decisions. So far there is no such mechanism and there is little movement in that direction. This was tried in a limited way during candidate selection in Delhi, but was abandoned too easily. We must find a new mechanism for listening and responding to the voice of our volunteers. Concentration of power in the hands of the PAC was never visualised in our constitution. The National Executive was meant to be the real executive body, with PAC taking some quick decisions in between two meetings of the NE. But right from the beginning, we could not keep to the then constitutional requirement of NE meeting/teleconference every fortnight. You would recall that we did weekly teleconference for some time but as Delhi elections approached that practice was dispensed with and never resumed. The concentration of powers in the hands of PAC meant that the inputs in the decision making were confined to a few persons who were themselves unrepresentative in terms of gender, region and social groups and perhaps limited in their wisdom. I had raised the issue of reconstitution of the PAC in the last two meetings of the NE but it had to be shelved due to the Lok Sabha elections. The supremacy of the NE must be restored and the PAC reconstituted. The PAC itself has not functioned in the true spirit of collective decision-making. The PAC meets regularly and extensive consultations take place. But there is no agenda or minutes of most of the PAC meetings leading to serious and avoidable confusion about what was decided; those who are neither members nor invitees attend and participate in PAC meetings; it has been insisted that invitees have the same power, including voting powers, as the elected members; and, it has been asserted that the PAC is no more than an advisory body whose majority opinion is not binding on the National Convener. Given this assumption, it is hardly surprising that the PAC was bypassed or overruled in many key decisions of the Party with far reaching consequences. This situation must be rectified and some minimum procedures must be laid down for PAC meetings. The relationship between central leadership and the states leaves much to desired. The national leadership has not been able to focus its attention beyond some areas, leaving much of the organization in a state of chaos. There is no clear chain of command and the state leadership is often confused about how to get in touch with the centre and take crucial decisions. Central leadership is not in touch with colleagues who regularly deal with states on their behalf. As and when the centre intervenes, it exhibits “high command” culture prevalent in other organisations. Occasional intervention by the centre are seen to be ill-equipped in terms of their knowledge, aptitude and experience to handle the complex issues of the state units. Unless this is resolved, we cannot go ahead with organisation building at the state level. The crying need of the hour is organisation building, but there seems to be little appetite and preparation to plan and execute this painstaking work at the grassroots level. The PAC did not find time to discuss organisational blueprints. Volunteers and indeed leaders at the local level have no idea of how to go ahead with organisation building. Grievance redressal, conflict resolution and disciplinary action is largely left unattended. Organisational work is often delegated to colleagues who have little experience, aptitude or temperament for this work. Bottom-up organisation building must be our top priority now. For a party that has no dearth of policy analysts among its members and sympathisers, our party has a serious deficit in its policy thinking. We made some quick moves soon after the party was formed: we had a brief vision statement that went beyond anti corruption and Lokpal. Arvind bhai’s book Swaraj was a great help in extending our thinking, but it could not substitute for policy thinking in various domains. Sadly, the Prty did not move beyond these early attempts. The party appointed 31 committees that produced reports. These reports were consolidated into a short framework for policy document, but this document never saw the light of the day. Ever since January last year, the party leadership has had no time for discussing the policy of the party. There has been no attempt to involve volunteers into thinking about our policy position on key issues for the party. As a result, our immediate response to an issue becomes our policy. We cannot postpone preparing a comprehensive policy document any more if we wish to be taken seriously as a party of governance. There is a widespread perception among the workers and sympathisers as well as external observers that the party is falling prey to the disease of personality cult that afflicts all the political parties in the country. There is no one who doubts that Arvind bhai is the undisputed leader within the Party. He has richly earned this stature and we would not be where we are without his leadership. But there is a difference between a Leader and a Supremo. Love and affection for a leader often turns into a personality cult that can damage an organization and the leader himself. This is what appears to be happening to our Party. Major decisions of the party appear to, and indeed do, reflect the wishes of one person; when he changes his mind, the Party changes its course of action; proximity to the Leader comes to substitute for organizational roles and responsibilities. Since all the decisions and successes are credited to one person, all the blame also begins to accumulate at the doors of one person. Let me reiterate that Arvind bhai is no ordinary leader and there are no two opinions about his continuing as the National Convener; nor have I ever doubted his status as first among equals within the party’s leadership. The real question is whether there are limits to personal discretion of the leader. These are the issues that have been worrying me, and I am sure many of you, for quite some time. I am not saying that I am free from the responsibility that the entire national leadership must accept for these deficits. In any case, I do not mention these for fixing responsibility. I do so to state the agenda for moving forward. I was waiting for the National Executive meeting for a free and frank discussion on these issues. 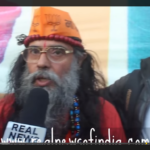 But developments since the election verdict kept making matters worse and it appeared that the space for such a discussion was rapidly shrinking. Immediately after the verdict, instead of reflecting on the verdict and charting our way forward, we got into misadventures that highlighted and further accentuated the problems in decision making. Worse, there were attempts to divert all the blame to PAC and NE. Demands were raised for dissolving the PAC and the NE; its members were presented as power brokers who were unwilling to give up their positions. These expressions were not confined to a few volunteers. It was seriously suggested within a PAC meeting that all the members of PAC and NE should hand over their resignations to the National Convener, giving him or a ‘search committee’ presided by him a free hand to reconstitute these bodies. All this reminded me of what happens in parties like the Congress and the BSP. Serious aspersions were cast on NE members and there was a proposal to go straight to the National Council in order to reconstitute the NE. I waited for Arvind bhai to come out from Jail and put an end to this chorus. Instead, in his first meeting with volunteers, Arvind bhai himself endorsed the anti-PAC sentiment, which amounted to an open expression of no confidence in his colleagues. This is when I decided to resign from the PAC, and also offered to step down from my responsibilities as spokesperson and in charge of Haryana. I did not want to do this, for any news about ‘resignation’ of any leader at this juncture lowers the moral of our volunteers. My sincere apologies if this resignation has hurt any of you. But this was a desperate attempt to stop what I saw as a rapid slide with disastrous consequences; having failed to convince my colleagues to attend to the challenge of party building, I had no option but to jolt them into some introspection. Needless to say, I did not go to the media (even when systematic disinformation was being spread, linking my resignation to developments within Haryana), for I did not wish to cause any embarrassment to the party. As I said above, the PAC colleagues were kind enough to listen to me on these issues which have not been discussed in the PAC for a long time. I am also happy that the NE meeting is finally happening with a clear agenda and a defined list of invitees. But my resignation would be futile if it did not lead to substantive discussion in this NE meeting on the issues listed above. Friends, let me conclude this long letter by reiterating that ours is a party with a future, a party of the futre. The election outcome may not have been as spectacular as the Delhi elections may have led us to believe, but it was neverthless a successful debut by an 18 month old party. We have achieved breakthrough in a second state, won more seats than the BJP or the BSP did in their debut elections, secured more than 1.1 crore votes and created a much bigger pool of goodwill, involved more than one lakh active volunteers in the campaign and successfully raised issues that other parties were unwilling to speak about. In the coming five years, we may be a small voice within the parliament, but we could be the principal political opposition in the country. The forthcoming meeting of the NE could be a turning point in this journey. Once we have a clear roadmap for future, attend to some of the issues mentioned above and get on with the painstaking task of organisation building, sky is the limit to what Aam Aadami Party can achieve in the country. We have created hope in our country’s politics, now we cannot fail the country. Looking forward to meeting all of you,​ Yours, Yogendra Yadav ********************************** Neither of these letters are easy to write and neither of these provide answers. What they do is more precious. They provide questions worth asking so that the whole organization may seek answers. 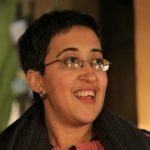 In my view, this is a very good thing, and I do hope that AAP leaders make habits of writing open letters to each other when issues of dissent or direction or important decisions arise, so that their thinking may provide the party with greater involvement and an opportunity to contribute when they see what the potential is. Is that not what the dream was in picking up the broom?